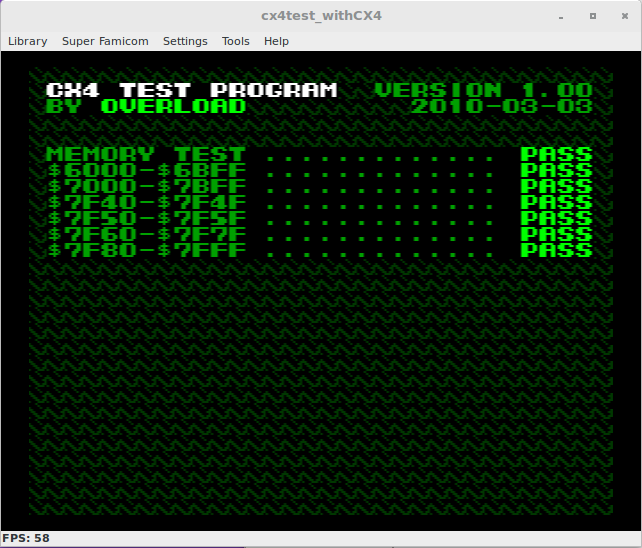 Test program written by Overload to test emulation of the CX4 chip. This program tests the CX4 chip, which was used in Mega Man X2 and X3.. The easiest way to get it to work in Higan is to append the CX4 ROM. The archive also includes the source code.